Optimal Health Care Center is a leading provider of infectious disease prevention, diagnosis and treatment for kids of all ages. 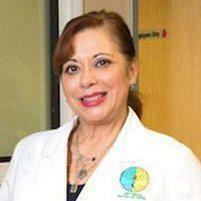 Dr. Martha E. Rivera offers a full array of infectious disease management options to help patients from throughout the Greater Los Angeles, CA, area enjoy the best possible health from infancy through the teen years and beyond. When most people think of infectious diseases, they think of relatively common communicable diseases like colds, flu or even chicken pox. Infectious diseases are a very broad category of illnesses that can include diseases caused by bacteria, viruses, parasites or fungal infections. Some infectious diseases are fairly common and easily treatable, while others can be very serious and even life-threatening. Pediatricians who offer infectious disease diagnosis and treatment are trained in special techniques to help patients overcome diseases when possible or manage long-term diseases, like tuberculosis. What Types of Infectious Diseases Affect Children? Pediatricians trained in infectious disease management understand that although children and adults may “catch” the same diseases, these illnesses affect children in very different ways, and they have the expertise necessary to accurately diagnose these diseases and determine the best and most effective approach to treatment. How are Infectious Diseases Diagnosed and Treated? Diagnosis of any type of infection begins with a very careful review of symptoms, a detailed personal and family medical history, and a physical examination. Blood tests, urinalysis, sputum sampling and other lab evaluations may also be performed, and in some cases, diagnostic imaging tests may be ordered. Once a diagnosis is confirmed, treatment can vary significantly based on the underlying infection. Some infections may respond very well to a single medication prescribed for a course of days or weeks while other infections may require hospitalization with multiple medications and other interventions to fight the infection and support the body’s functions. Other infections like HIV or AIDS require long-term management to help keep symptoms under control. At Optimal Health Care Center, each patient receives individualized attention and every treatment plan is created on a case-by-case basis for both immediate and long-term results.